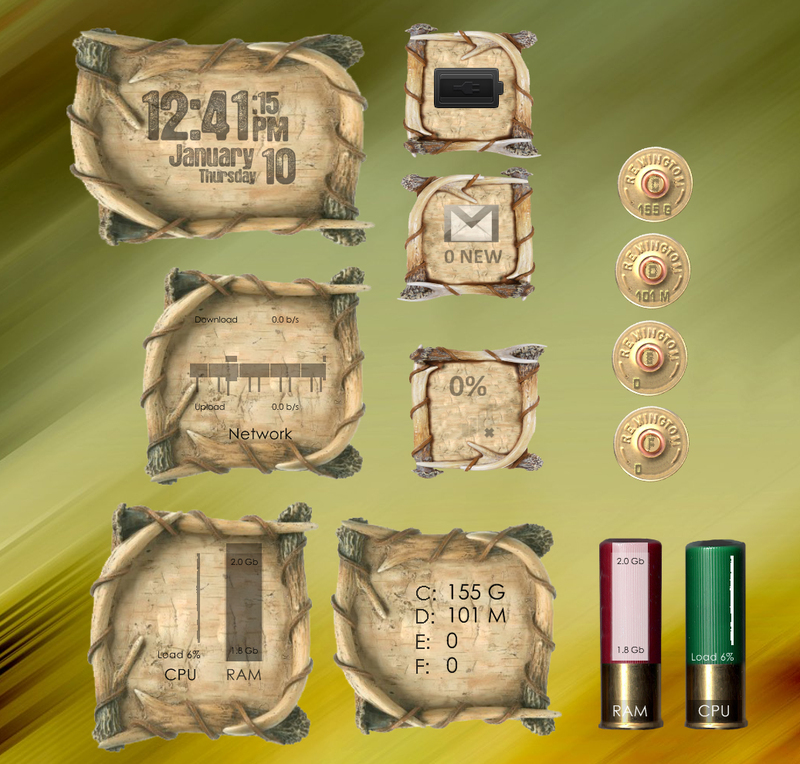 I noticed that the only CPU & RAM were in the shotgun shells so I created one in the antlers and combined them into one meter. I thought I would take a break from my usual desktops and do something different for a change. I have always loved nature and, I have to admit, have done my fair share or hunting in my younger days. Though in my later years I do prefer a camera instead of my rifle. In my youth it was for sport and for food. Now just for fun with the camera. This skin travels in both worlds. If you are an avid hunter with rifle or camera and you love deer then this skin should make you happy. Enjoy! This collection is entirely mine. There are three projects planned for this series. Deer, seen here, Black Bear & Silhouettes which is a combination of all including moose. Comments, FAV's & Points appreciated!! !